Juventus teenager Moise Kean was on target again as the Serie A leaders won a tough match 2-0 in a hostile atmosphere at Cagliari on Tuesday. 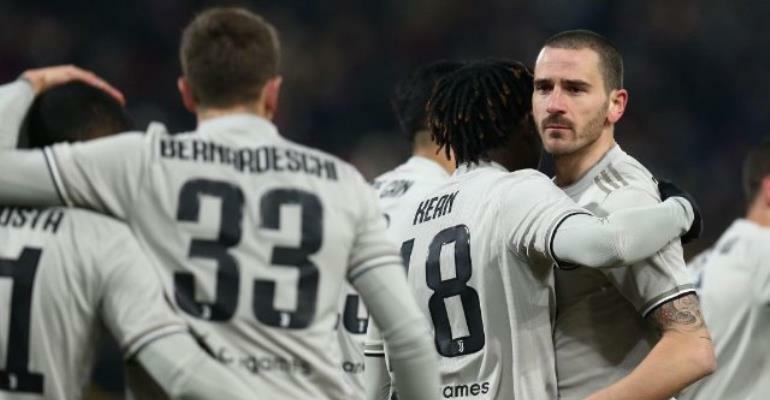 Defender Leonardo Bonucci opened the scoring with a towering header from a corner in the 22nd minute and Kean, 19, turned in Rodrigo Bentancur's cross with five minutes left. Juventus will next face AC Milan, who were held 1-1 by Udinese.